Most of our cruising friends said they had a great time in San Francisco Bay. Some stayed for 6 months or even more and said that would be interesting for us too. So after 7 days preparations the boat we ready to leave Alameda Boat works to somewhere more pleasure. After we spent time in a few places in SF Bay we both have a nice feeling each day. 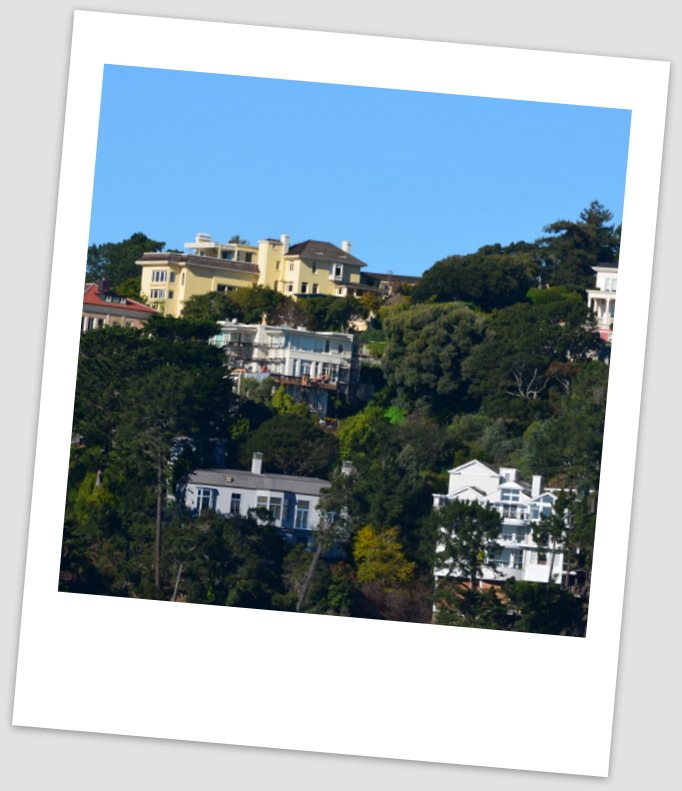 We especially liked Sausalito and Point Richmond. Unfortunately due to limited time we did not stop at Napa Valley. omfortable dock from ocean swell and big tourist boat motoring. Dock is restless from tourists and tourist boat in and out all day. The fenders squezz at the dock all night. Is just about 2 block to the sea lions dock so feeling like we are staying in the zoo that have tourist watching. Although there are variety of restaurant and shops but we can handle not more than one night. Moorage fees: US $50 per night, Wifi is only available in Tenant room, free shower room and self service laundry room. It is getting close to American Thanks Giving Day. 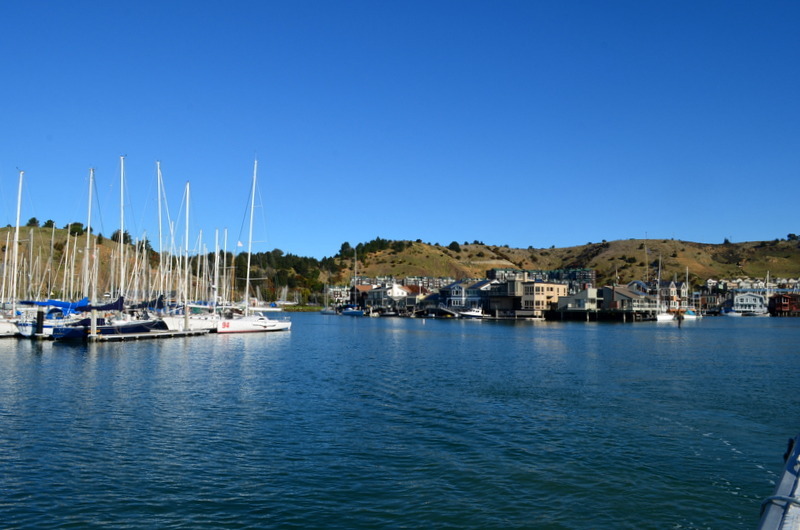 We check-in at The Clipper Yacht Harbor with a warm feeling from the lady manager and safe atmosphere in Sausalito. With a few minutes of walking there is some nice restaurant such Sea Horse (Italiana & Supper Club) provides live Jazz music or salsa dance and etc. Happy hour with 50% discount. There is one local nice supermarket which price is high-end. Post office and bank. Moorage fees: 2 nights charges US $ 86 estimated. and another US $ 40 for a key deposit, Good Laundry room and Nice shower room. Electric and water. We would have never known what a great gem was hidden in this area if did not come here. Thought that this part of the “Bay”would be more busy than Sausalito. This place is more laid back. 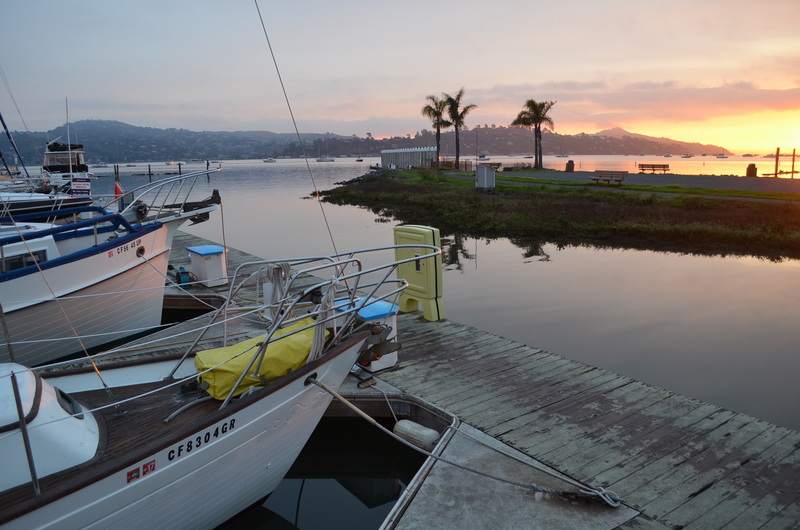 Harbor Master is generous and not charge any dollars for dock at the club with facilities. So thank you Tavi and Sheila for gave advice about area. 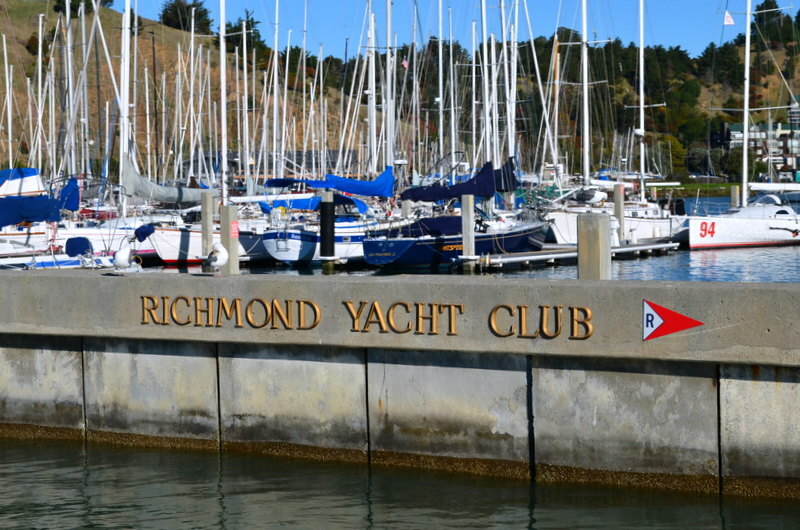 You can have a lovely walk to town about half an hour to the very small Point Richmond town. It is like a small American Town from the 50,s only a few blocks in size that is only frequented by locals as the rest of the world has not found it. There is one very good Thai restaurant. Two grocery stores. Starbucks coffee and small local shops. Steve found a great pub that had a rugby theme that served great beer.